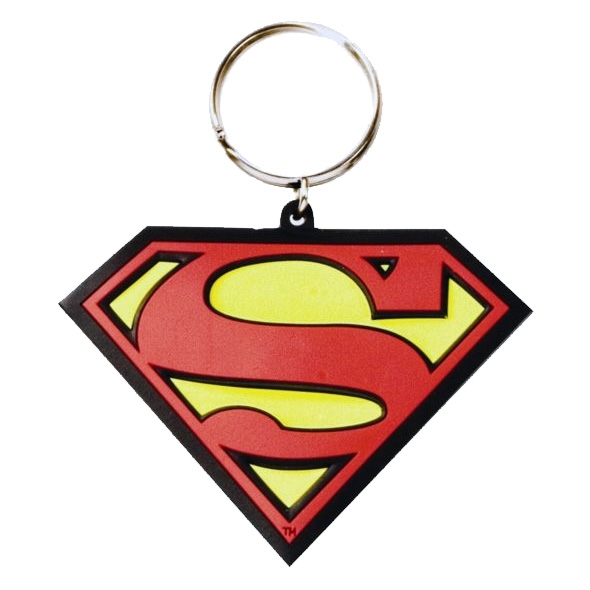 This Weeks Super Deal - The Superman Classic Flexible Keyring is a must have if you are a Superman fan. Keep all your keys together on this flexible keyring, so you don't need to worry about it getting bashed around in your bag either! As the Superman Keyring is flexible it is super hard wearing. This Superman Classic Flexible Keyring is a subtle Superman accessory - perfect for those who just want a cool keyring to pop on their keys. This keyring is designed in a neat and simple way with the traditional bold red and yellow colours of the Superman logo letting the logo do the talking. This combined with the small size makes the keyring the perfect little superman merchandise. Of course, if you're a huge Superman fan then this is obviously perfect for you! The logo comes in the traditional diamond shape and will adorn your keys with pride. We personally think all geeks and gadget lovers have super powers, and consequently we should all have one of these keyrings on our keys! This fantastic Superman Classic Flexible Keyring is the perfect stocking filler or just a cute little gift.